#2 Wall Capital Group, Inc.
Is Wall Capital Right For You? How Does Wall Capital Invest a Client’s Money? #4 Versant Capital Management, Inc.
How Much Money Does Versant Manage? What Types of Services Can a Client Receive? Where Does Windsor Put a Client’s Money? What Else Should You Know About KeatsConnelly? How Does Pathlight Allocate Funds? Finding a top financial advisor can be a challenge even for those who consider themselves to be well-versed in financial matters because there are hundreds of advisors on the market selling their services with different fee structures and account minimums. Although it can be hard to tell which firms are worth working with, this list of the top financial advisors in Phoenix Arizona can provide you with valuable insights to help you make a smarter decision. Below, we rank the top financial advisors in Phoenix based on amount of assets under management in descending order. TFO Phoenix has nearly $2.5 billion in Assets Under Management (AUM), which makes it one of the largest financial advisor firms in the state of Arizona. Despite this, there are no account minimums to maintain. If you need help with tax planning or other issues related to paying taxes or filing a tax return, TFO Phoenix has 13 Certified Public Accountants (CPAs). This is in addition to 18 other financial advisors that include four Certified Financial Planners (CFPs) and a Chartered Financial Analyst (CFA) on its roster. The company believes strongly in a diversified investment approach, which can lower an investor’s risk by spreading exposure over multiple sectors of the economy. If one sector is experiencing a downturn, an upturn or consistent growth in other sectors can negate those losses. Furthermore, there is no need to pick individual stocks, which may be risky and result in lower returns in the long run. In 2017, the TFO Phoenix’s president was named Arizona’s top financial advisor by Barron’s. He has also been named one of the state’s top five financial advisors over the past several years. If you’re interested in learning more about the firm and what it may be able to do for your financial future, visit https://tfophoenix.com/ or call (602) 466-3813. If you prefer a pragmatic approach to investing, Wall Capital Group may be an ideal fit. Whether you need help with your own finances or need someone to oversee a group portfolio, Wall Capital Group has the resources to do so. Wall Capital is another financial firm that does not have a required account minimum to do business with them. Generally speaking, individuals who have their money managed through the firm are of modest means compared to accounts held at other companies. Although accounts are available for individuals who need assistance managing their money, the company is better known for its management of nonprofit and government funds. Specifically, Wall Capital is best known for its management of funds devoted to helping public safety professionals. Many of the company’s employees were police officers or firefighters before joining the organization. Wall Capital was founded in 1990 by a husband-and-wife team. Prior to March 2018, the organization was known as Money Matters Financial Group. The firm manages over $1 billion in assets, and it features four advisors on its staff, including a CFP and a Certified Investment Management Analyst (CIMA). A Certified Retirement Counselor (CRC) is also available to clients. The firm likes to take a measured approach to how it invests a client’s money. An asset allocation plan is created based on the needs of the individual as well as his or her risk tolerance. A portfolio will likely be rebalanced as time progresses or if a person’s needs change throughout their lives. 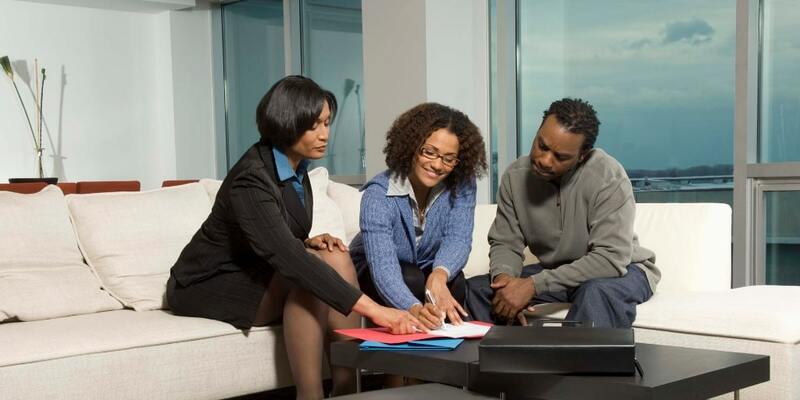 Wall Capital understands that its clients have many different goals and can help in the process of reaching them. For instance, they can offer advice as it relates to paying for college, paying for retirement or creating a discretionary fund. This can help an individual obtain the financial flexibility that he or she desires. Wall Capital likes to invest in mutual funds and Exchange-traded Funds (ETFs), which allow for broad diversification. However, it also allows an individual to invest in stocks or other growth sectors without taking on as much risk. As a result, investors don’t have to sacrifice long-term returns for greater capital preservation. Interested in learning more about the Wall Capital Group? Visit their website at https://wallcapitalgroup.com/. It may also be possible to get in touch with a representative by calling (623) 242-6332 or visiting their office in Phoenix. 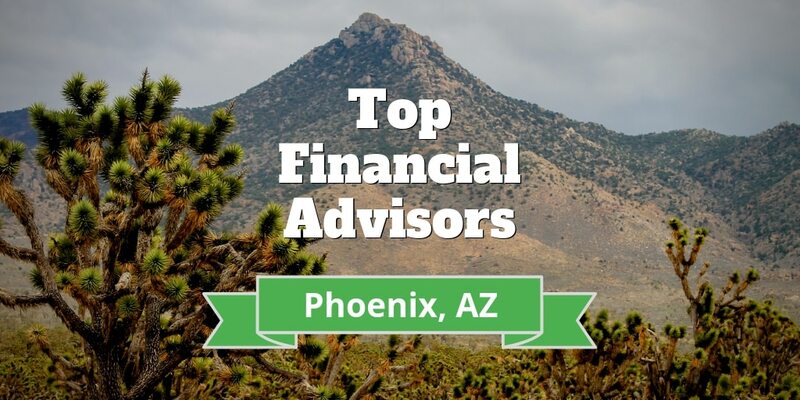 Belpointe makes the top 3 list for financial advisors in Phoenix, Arizona. It does not require a minimum account balance, which means that anyone is free to have their money managed by the company. Its client base is generally individuals who are not considered to have a high net worth. However, it does consulting work with wealthier individuals as well as businesses and other investment firms. It also works with trusts that may be held by individuals of various financial means. Since the company works with people across the economic spectrum, there is a good chance that there are investment strategies or tools that will make sense for most prospective clients. The firm chooses to make investment or other decisions for its clients by determining what is in the client’s best interest. There are 72 advisors within the organization, and they include CFPs and Certified Private Wealth Advisors (CPWAs). Its approach to investing means that it doesn’t offer a set of predetermined product or service packages. At Belpointe, clients can expect to receive advice relating to managing the assets that they have now as well as creating financial plans to grow wealth into the future. Belpointe believes that passive portfolio management tends to do a better job of maximizing returns over longer periods of time. This is largely because management fees and other costs related to actively managed assets tend to eat away at returns over time. The firm tends to invest in stocks, bonds and index funds in addition to mutual funds and anything else that makes sense for a client. It was founded in 2007 by a father-and-son team, but the company is now owned by Belpointe Financial Holdings, LLC, which is owned by Brandon Lacoff. This holding company is also partially owned by the company president, Greg Skidmore. Anyone who is interested in learning more about this firm can do so by visiting https://belpointe.com/. The firm’s phone number is (480) 646-3504, and an employee may be able to answer your questions or provide greater detail for you. Those who enjoy working directly with the person who will be making the investment decisions may get what they need from Versant Capital. The company was formed in 2004 and measures success or failure based on how well it is meeting client goals. If you are looking to invest your money through Versant Capital, you will need to have at least $2 million in your account. The company itself is owned by a pair of trusts, and the Chief Investment Officer (CIO) has more than 30 years of experience in the financial industry. The company name, Versant, means “experienced,” and the company prides itself on giving clients quality investment information based on historical trends and other evidence. Ideally, assets managed by Versant will remain in place in their current form for as long as possible. The company’s investment philosophy is to ensure that asset allocation remains roughly the same while also minimizing taxes and fees. Furthermore, the firm takes a long-term view of investing, which is another reason why stability is key. Investments tend to offer the most growth over years or decades as opposed to weeks or months. This is because they are allowed to compound, which means that they grow at an exponential rate. Keeping turnover and other changes to a minimum can keep fees and other costs to a minimum that could otherwise cut down on overall returns. Versant will invest in a variety of asset classes such as stocks, bonds and commercial paper. You can also expect that their advisory team will look into ETFs, mutual funds and anything else that may benefit you. The company will do its best to tailor a plan that meets your unique needs. Versant manages a little over $900 million in assets, and it has 11 advisors as part of its team. The advisory staff members include a Certified Public Accountant/Personal Financial Specialist (CPA/PFS) as well as a Chartered Alternative Investment Analyst (CAIA). This may help you feel better about the advice you get and how it meshes with your current and future financial goals. The company has a fee-only structure of payment. You can learn more about this firm by visiting http://versantcm.com/. You can also reach them by calling (602) 635-3760. Windsor Capital is ranked among the very best financial advisors in Phoenix. It was formed in 2000 and has a team of six advisors to help manage just over $530 million in assets. It is owned by its CEO as well as its CIO. Windsor Capital Management does have account minimums, and those minimums range from $5,000 to as high as $400,000 depending on a client’s account type. The $5,000 minimum applies to online accounts while the $400,000 minimum applies to balanced portfolio management. For those who are looking for fixed-income portfolio management, the account minimum is only $200,000. Clients can expect to receive a variety of services, including general consulting and consulting services related to retirement accounts. Windsor Capital will also offer both online and traditional portfolio management tools, and there is an option to use individual services or all of these services packaged together. Those who seek tax efficiency from their investments may not find what they are looking for with Windsor Capital. In fact, the company openly admits that they don’t take that into account when it comes to choosing where to put a person’s money. The firm suggests that you have a tax advisor ready to create a strategy that might help reduce the amount that goes to relevant tax authorities. Windsor tends to put money into closed-end mutual funds and ETFs. It will also invest money into fixed-income assets as well as other equities. The company uses model portfolios that are designed to match a client’s risk tolerance and timeline. However, individuals have no say as to how much exposure they have to a given asset class. Visit https://www.windsoradvisor.com to get more information about the company and how it manages client money. The website features a blog as well as a newsletter that is updated on a monthly basis. Hatton Consulting manages just over $330 million in assets, and it has three CFPs who offer management services and advice. The company was formed in 2001, and it is a fee-only firm. If you are a widow or a widower, or even a business owner Hatton Consulting wants to work with you. Also, if you are retired or planning on retiring, Hatton can create a financial plan for you make the most of your available assets. There is no account minimum to invest with Hatton Consulting. The company aims to provide advice about both investing and wealth management. This can be helpful because it allows a client to think about all issues that he or she may face, such as the tax implications of a given investment. Wealth management also focuses on issues such as charitable giving or how to otherwise structure an estate. Proper estate planning may allow a person to engage in legal and effective tax avoidance. This could result in more money going to beneficiaries or charitable causes after the individual’s passing. Common estate planning tactics could include buying insurance policies or putting assets into trusts to protect them from being seized by creditors or others. Investment planning itself helps an individual learn more about the different options available and how they fit into a person’s overall goals. Generally, money is placed into fixed-income equities and mutual funds. The exact allocation of funds is determined after an initial meeting, and there is an annual review process to keep a portfolio on track for success. Those who are looking to have a professional invest their money should be impressed with Hatton’s commitment to being a fiduciary. The firm’s founder wrote a book called “The New Fiduciary Standard” while the firm itself was featured on the cover of Financial Advisor magazine. Going to https://www.hattonconsulting.com can make it easier for you to find out more about this firm and how it could help you manage your money. One of the unique features of Keats, Connelly and Associates, LLC is that it is designed to help those who regularly spend time in the United States and Canada so it’s not just one of the top financial advisors in Arizona. It may be the right firm to work with if you are planning on moving to the United States from Canada or to Canada from the United States. It can also be an ideal partner if you are living in one country but are a citizen of the other. KeatsConnelly can help with almost any investment need that you may have, and the 15 members of their advisory team have an understanding of both American and Canadian tax law. Its advisors include multiple CPAs as well as a CFA and a Certified Financial Consultant (CFC). The company hosts a number of forums, has produced multiple books and offers other sources of information for those who are interested in this type of lifestyle. The forums allow individuals to talk with each other about any problems or concerns that they have and how to handle them. 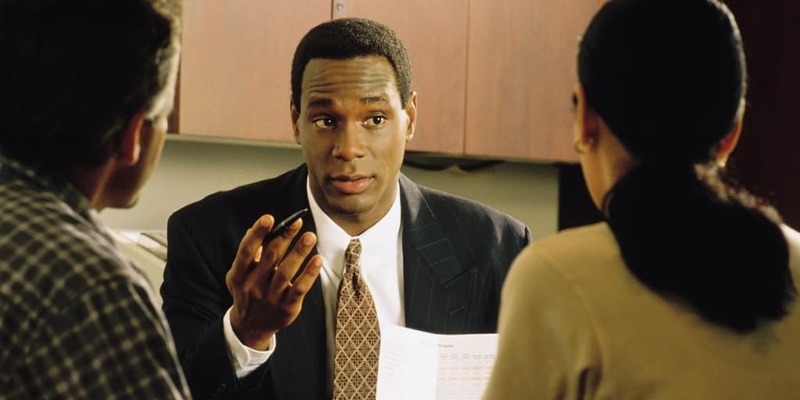 The account minimums vary depending on the type of account that a person has with the firm. It currently manages just over $320 million in assets. The firm was founded in 2009, and you can find out more about it by visiting http://www.keatsconnelly.com/. You can also reach KeatsConnelly at (602) 955-5007. Those who are looking for wealth management, investment and financial planning services may be able to find what they are looking for with Pathlight. Pathlight will review your financial needs and timeline in a group setting to determine how to best allocate your funds. Your money is usually placed into equities, fixed income investment tools and cash. Alternate investments may be used if it makes sense to do so. If you have at least $5,000 to invest, you can use Pathlight’s automated online investment service. This service invests mostly in ETFs, and it can also help you determine the appropriate level of cash to keep in your account at any given time. Pathlight offers an online portal called myPath that allows you to get an overall picture of your financial situation. This is done by integrating information from other accounts as well as providing updates in real time. Blog posts, videos and other articles are also posted online to provide you with additional guidance. Going to http://www.pathlightinvestors.com can help you learn more about this wealth management company. To speak with a person, feel free to call (602) 795-7600 during normal business hours. If you are looking to invest your money with RTS Wealth Management, you will need to have at least $1 million in your account. This firm specializes in helping individuals who are retired or are about to retire and need help making sure that they are financially stable while doing so. It is important to note that RTS does sell insurance products and receives commissions for doing so. However, it does have a fiduciary responsibility to each of its clients, and it takes its commitment seriously. Therefore, there is little need to worry about a conflict of interest. Of course, individuals should do their due diligence before buying any type of insurance or other products from a wealth management firm. By investing with RTS, you will have an actively managed core portfolio and a passively managed periphery. Portfolios are created using asset classes that help you meet your goals while also adhering to your values. They are designed by first picking asset classes followed by picking sectors within each asset class. Finally, individual securities are chosen for the portfolio. The ultimate goal is to ensure consistent long-term returns while minimizing volatility whenever possible. RTS Private Wealth Management will typically invest in mutual funds and ETFs. It will also invest in individual stocks as well as fixed-income securities if necessary to meet a portfolio’s goals. There are a variety of meetings that you will need to attend as part of the process of working with RTS. The first meeting will help both you and RTS get to know each other and learn more about how your partnership will work. There are also meetings with a CPA and other financial and wealth management professionals. Furthermore, there is a progress meeting after 45 days as well as regular follow-ups to determine if investment decisions are meeting your needs. Prospective clients can get more information about this firm and its offerings by visiting http://www.rtsadvisors.com. It is also possible to visit their physical office location in Phoenix or speak to a representative by calling (602) 224-7850. Those who are looking to manage their retirement accounts can turn to Ironwood Wealth Management to do so, and the minimum required account balance depends on the type of service that a client needs. Like other wealth management companies, this firm does sell insurance products. However, it also has a fiduciary to its clients, which means that it is legally required to always act in their best interests. Ironwood provides clients with a five-step plan that will help them meet their goals. The first step is to create a written plan that will outline a person’s goals, timeline and other variables that may be relevant. Once this plan has been created, assets are selected that will make up the client’s portfolio. Generally speaking, money is placed into mutual funds and ETFs. The final step is to constantly monitor the portfolio and make changes if necessary. In most cases, rebalancing is necessary because of changing market trends or changing client goals. To learn more about the five-step plan or anything else about this company, go to http://www.ironwoodwm.com. It is also possible to talk with a representative of the company by dialing (480) 776-5960. Finding the right financial advisor requires research. You want to make sure that you can meet the account minimum of the firm you choose, and you want to know that they have your best interest in mind. Be sure to pick a firm that will be able to cater to your specific needs as well. Since the financial advisors on this list have experienced personnel, you should be able to find the right one for your needs.